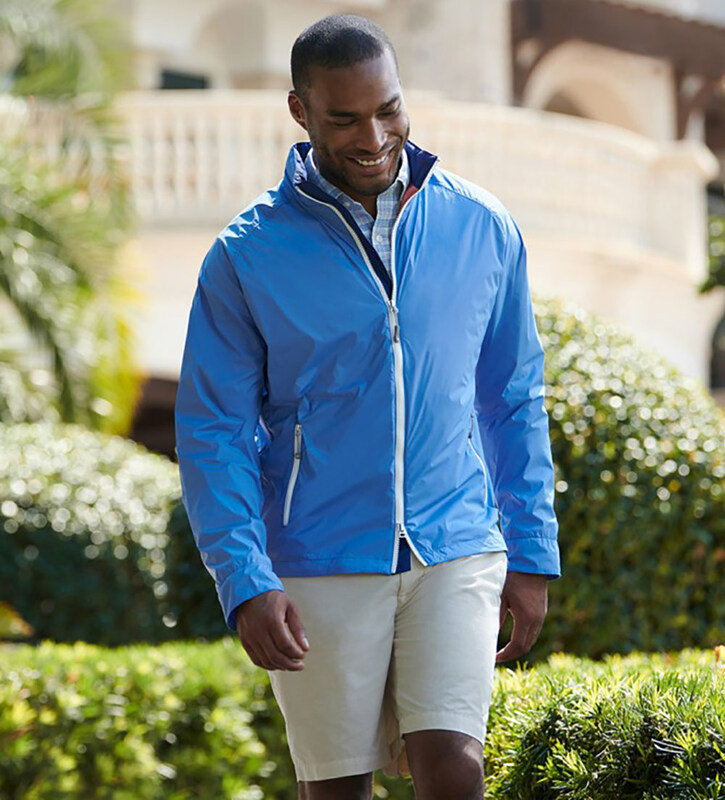 Windproof microfiber with four-way stretch. Two-way zipper, removable roll-up hood, zip pockets, hidden elastic cuffs, camo mesh vent. Complimentary bottle opener, eyewear retainers. 91% nylon/9% spandex. Machine wash. Imported.